Red Martian describe their sound as neue-shoegazer, as they are trying to bring back this genre from the late 80s/early 90s that was born, known as Post-Paisley Underground but they have done so with a modern twist, to help create their own 'alien' sound on their new concept EP.. 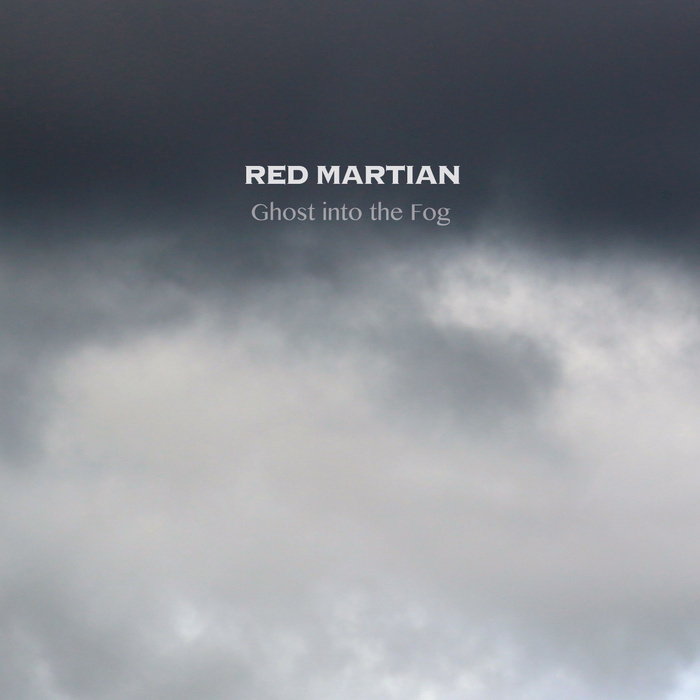 Opening title track, "Ghost Into The Fog" is highly atmospheric and melodic, with well written lyrics and vocals that sound distant from front-man, Stephen..like that of objects clouded by 'fog'. This is an intelligible offering which makes for a great opener! "None" sounds instantly more upbeat with solid rock vibes still, and brilliant instrumental sections to lose yourself in, and transcend even further, with spacey sounding vocals to add to the ambient huge presence this one has. It also keeps you guessing with transitions in timing! The next track is know as みなぞう which means 'Minazo' of course! Everyone knows that? !..So yeah this perfectly normal named track is dynamic with catchy droning guitars, a stand out chorus, and more varied vocals, making it very memorable and melodic..so its easy to see why this is going down a storm! "Undertow" has downbeat sounding guitars and energetic drums, giving it an indie alt edge, but again keeping things coherent and consistent, it has a far out sound to fit the concept of the album! "Use"is another stand out offering that highlights what the band is all about! It has a far reaching sound, with brilliant fluidity to the instruments, with stand out vocal fluctuations to pierce through the haze of the deep quilted instrumentals, but all remaining as one cohesive component, that works wonders! "Won't" sees a shift of sound and is a slower paced number, that may not grab you as much as some of the others, at least not initially.. but give it a few listens and it will unearth it's hidden brilliance, with its rather sombre 'dream' like state! "Ingenting" has a positive serene sound for the most part, but further into track we are greeted with effective strong synth sounds that help give it even more depth and substance. So we reach the final song, "Ago" which again exhibits an indie vibe, with great energetic bass lines and memorable soothing vocals. The whole structure flows effortlessly and purposefully, ending on a well balanced note, combining all their best elements! Red Martian are masters of atmosphere and creating different vibes, and they manage to produce an interesting unique style with a mix of dim broody moments, in contrast with upbeat dynamic ones. They also manage to convey the concept of their EP wonderfully, actually sounding like they are playing amongst heavy 'fog' to aid the atmosphere and strange hazed sounds. If you are looking for something a bit different, then look no further! They give new life to neue-shoegazer using original influences and modern ones combined, to show that this genre is still alive and kicking; and if done right it can have captivating results!